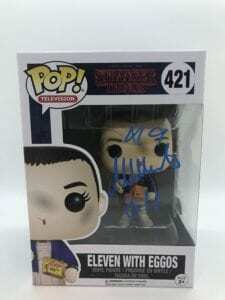 For many fans, obtaining signed memorabilia from their favorite actors or shows is a staple to any geeky collection or nerdy display. These holy grails solidify fandom and start numerous conversations amongst family, friends, co-workers, and fellow collectors alike. 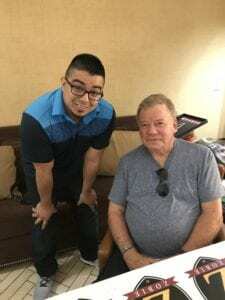 The stories you have from meeting your on-screen idols are always memorable—in one way or another—and the thrill of the chase intensifies with each signature you acquire. 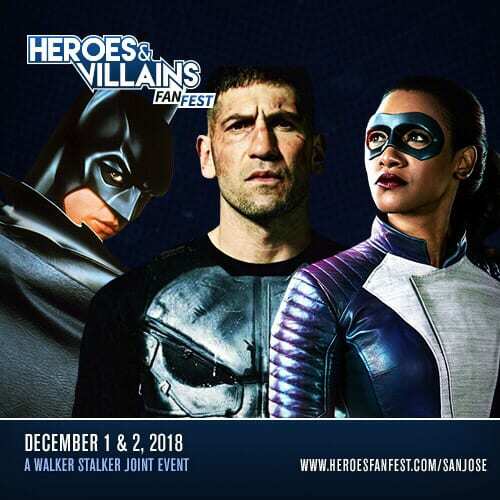 Fan Fest News prides itself on bringing the characters and the fandoms to you, the fan, so I wanted to explore an area of fandom that often evokes passionate review. 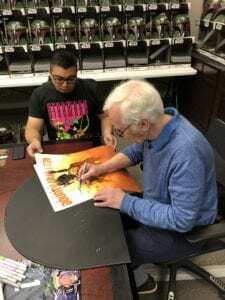 Autograph collecting has been around for centuries, but mainstream pop culture has come to provide numerous ways for fans to interact with their favorite celebrities or to obtain signatures. The one negative mark that has always, and will always, surround the hobby is that of authenticity. The old school train of thought is that unless you physically obtain the autograph yourself, one cannot guarantee the item’s authenticity. Such adage may hold merit, but today’s collecting scene provides multiple avenues for fans to acquire legitimate pieces. One such avenue is finding a company you trust. 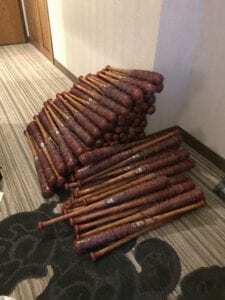 Zobie Productions checks all the right boxes when it comes to providing uniquely authentic memorabilia to fans at an amazingly affordable price. 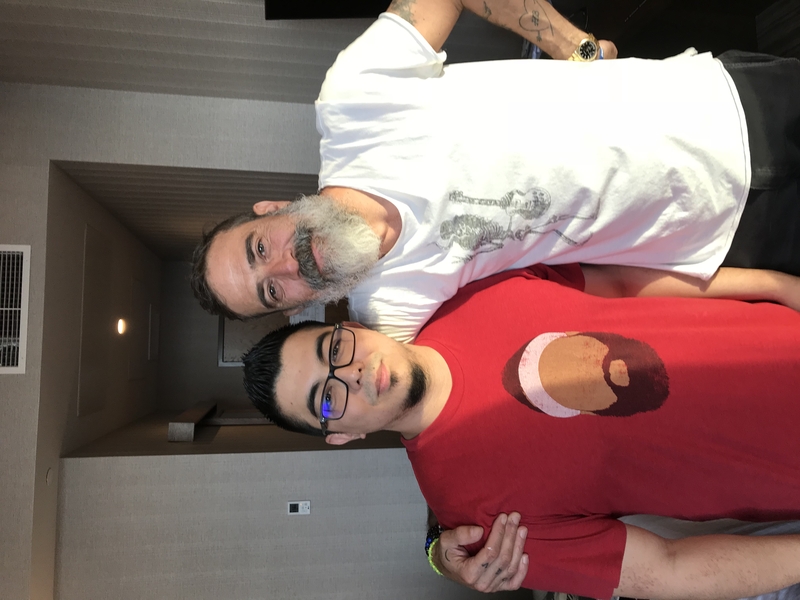 Since I have been a Zobie fan and customer for the past few years, I thought it would be great to pick the brain of the man revolutionizing the industry with his quick shipping times, his uncanny transparency to the collector, and his infectious personality capable of landing some big names for private signings. His knowledge of the hobby is seemingly infinite, and I think that whether you’ve been a lifelong ‘graphing enthusiast or you’ve just acquired your first signature, Jayare has something to offer you. JM: For someone who is new to collecting signed memorabilia, what advice do you have for them? JG: “Go by the model that if it’s too good to be true, it probably is. Be careful! Always look for a third party authentication–meaning one of the three leading third party authenticating companies. 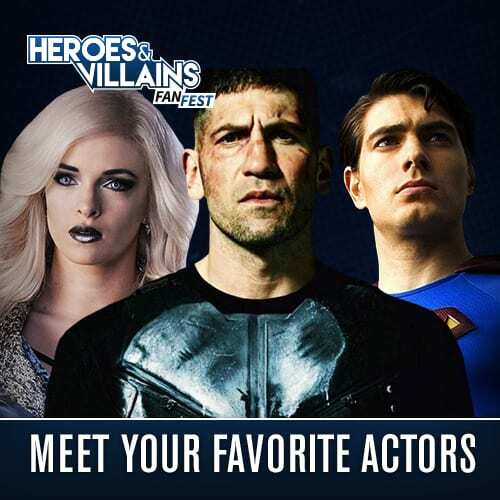 You have JSA (James Spence Authentication), Beckett, and PSA/DNA. 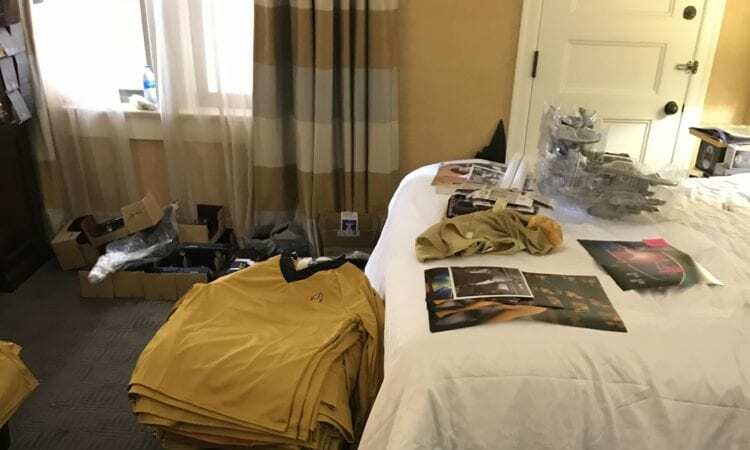 A lot of the comic cons nowadays are having these companies set up within those shows in the U.S. to authenticate items. Just going to eBay and typing a celebrity’s name and putting autograph at the end of that search, you will see some things at a low price. You are like, ‘Oh, my god. I can get a Tom Cruise autograph for $20!’ Most likely, that is going to be fake. Look for third party authentication because at least there’s a professional with a database with that person’s signature, and they can state on their opinion that the signature is genuine based on those examples. 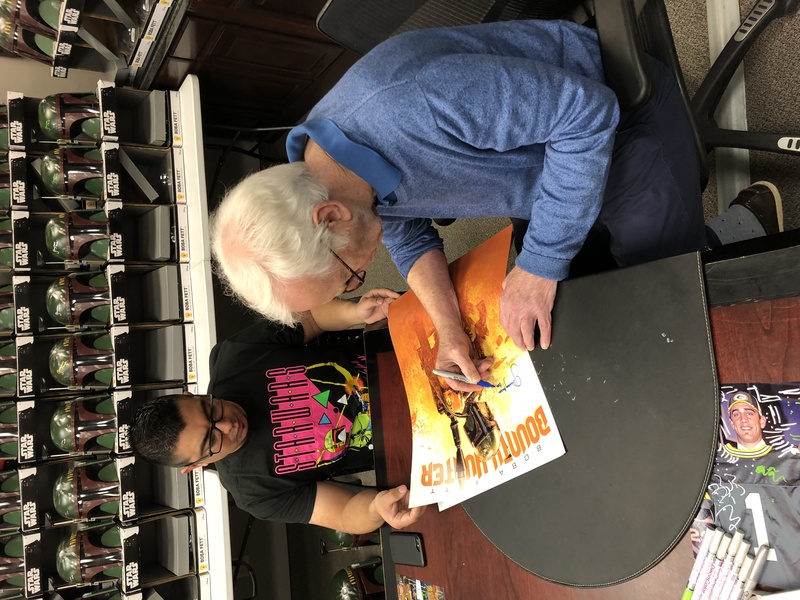 JM: Many would agree that attending conventions is great for meeting celebrities and obtaining autographs, but what benefits do private signings give the collector? Jeffrey Dean Morgan signed Pop! JM: What are some tips you have for preserving autographs for those who like to display them? 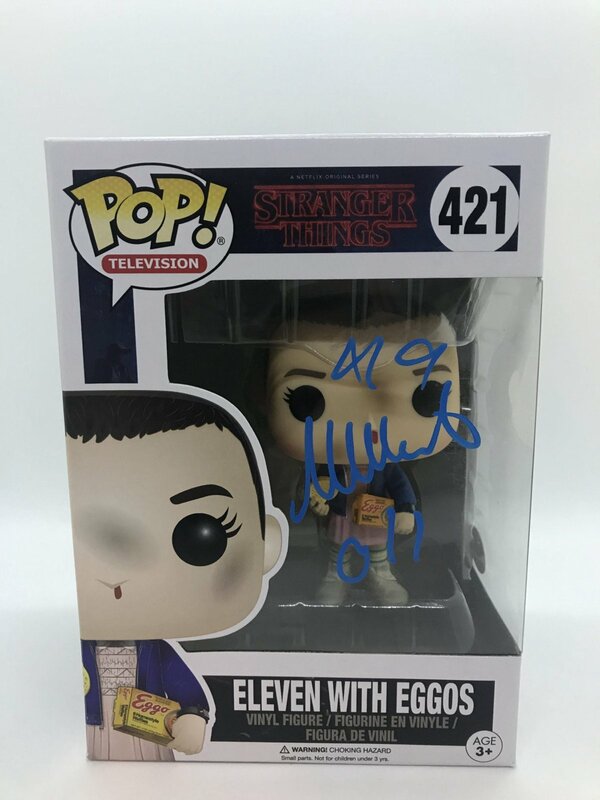 Millie Bobby Brown signed Pop! JM: One of the largest problems within the hobby is forgery, and most companies, like Zobie, often do everything they can to give the collector a piece of mind when it comes to an item’s authenticity. In your opinion, what should collectors look for when it comes to a COA? As Jayare noted several times in the interview, a lot of these third party authenticators have a quick opinion option on their websites. If you want to buy something online, just go to the site and request the opinion. Every one of them has a person on the staff who sifts through the databases to provide these quick assessments. Now, a more thorough review comes when you want the item certified with a COA, but such quick opinion can help if you are in a pinch for time. JM: Some larger authentication companies even have the “witnessed” or the “in the presence” sticker. What qualifications must a piece meet to receive such authentication? JM: There seems to be a divide over the topic of personalization. Personally, I think it adds a specific uniqueness to my collection, but what do you think? 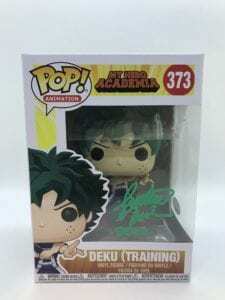 Are you for or against autograph personalization? Jayare operates Zobie Productions with the mindset of marketing products he can stand behind. As he put it, “You could have the best product, but without the experience or promotion, no one will know about it. I want to add those personal touches to truly make a difference.” And make a difference he has. Jayare admitted to getting nervous before every one of his mystery box launches because he puts so much effort into the smallest details. He truly goes all out for his supporters, and if one person loves those small touches, he views the entire process as worth it. JM: How long have you been collecting autographs? JG: “I started when I was 13, and I’m 32-years-old. I started collecting musician autographs first. I used to go to a concert venue back home and try to wait for the band to come out before they hit stage. I tried to get them to sign my CD and tape covers. JM: Do you remember the first person you ever met? JG: Yeah, the first person, or the first band, I ever met was Pantera. JM: As a collector, how does your passion for the hobby drive your brand? JM: How has the company grown? JM:I love the concept of mystery boxes, and Zobie offers some great ones. What is your goal when it comes making and distributing such products? JM: I know you are rather candid when it comes to announcing potential signings, but what does Zobie have in store for collectors and fans in 2019? 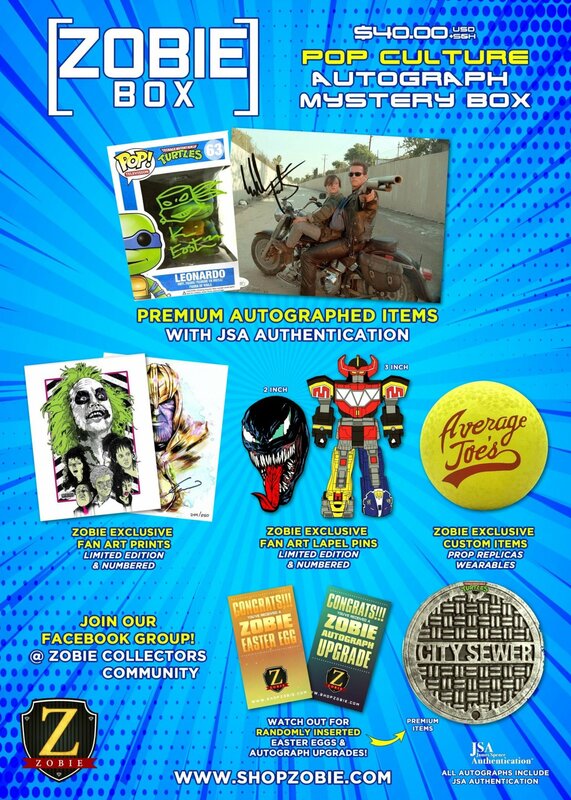 Speaking of those announcements, you have to check out Zobie’s Collector’s Community on Facebook. 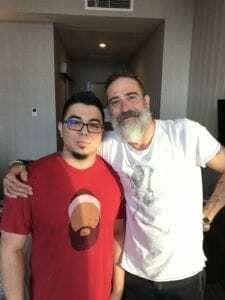 It is made of some great collectors, and Jayare and his team always give updates on sales and signings there. 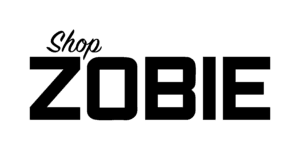 If you want to check out Zobie, visit their website here. 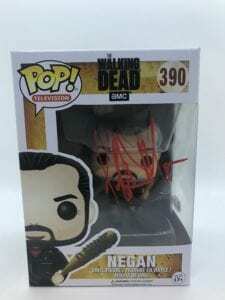 Information on private signings and mystery boxes are fairly easy to find. 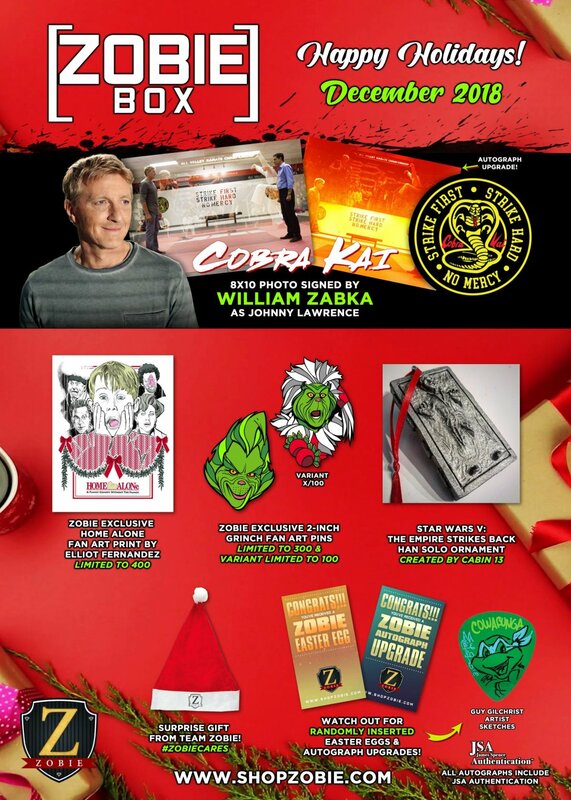 The Zobie Fright Pack and the Zobie Pop Culture Box are bi-monthly mystery boxes that do not require subscription. For you wrestling fans, Zobie also launched its “Rasslin” box! They also have mystery packs for different genres and photo sizes available regularly or until sold out. 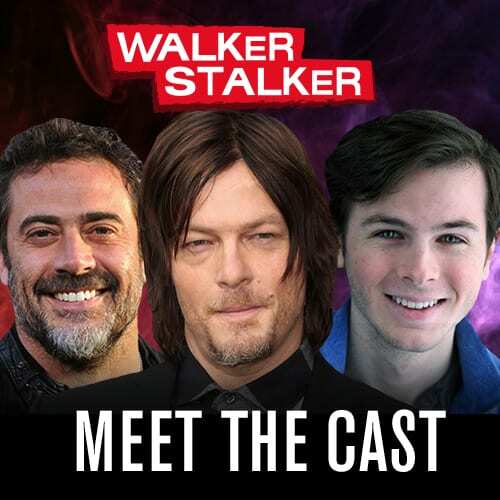 All of their products are on the website, and future private signings are also available for pre-order. Go check them out! 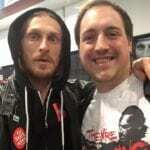 Thanks to Jayare for giving up some time to answers my questions and for the photo credits from his website and experiences. Happy collecting!